In the past, Parc des Rives de Seine was the fast road on the Voie George Pompidou to cross Paris on the right bank of the Seine. Nowadays the right bank of the Seine is strictly reserved for pedestrians, bikes and rollers. Parc des Rives de Seine is the perfect place for you to chill during sunny days. 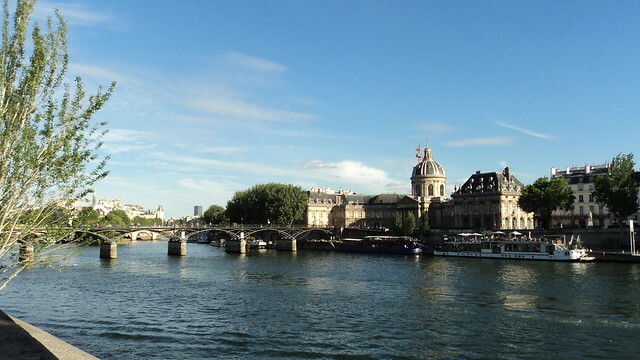 You have 3 km of Seine riverside to relax, going from Bastille port de l’Arsenal to Tuilerie’s Garden. Also, Parc des Rives de Seine is the place to go either if you want to relax or if you prefer to do some sport. Enjoy even more your time in Paris! Parc des Rives de Seine has just the right location because you will be in the city centre of Paris. Share the good news to your friends and invite them in Parc des Rives de Seine! Ps: During summer time, Parc des Rives de Seine get a new look and become the famous beach of Paris!